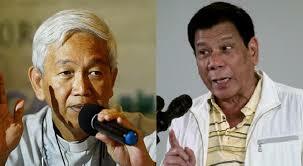 Manila Auxiliary Bishop Broderick Pabillo “How can [Mr. Duterte] order Congress? Is there not a separation of powers? He really has a dictatorial bent,” referring when Duterte called out Sereno as "enemy". Pabillo lambasted the order of Dutere to House Speaker Pantaleon Alvarez to expedite the impeachment case of Chief Justice Maria Lourdes Sereno over the controversy of non-submission of SALn. “President Duterte’s attacks against Chief Justice Sereno is also an attack against democracy, which only displays his dictatorial desires and plans to control all branches of government,” ACT Teachers Rep. France Castro said in a statement.